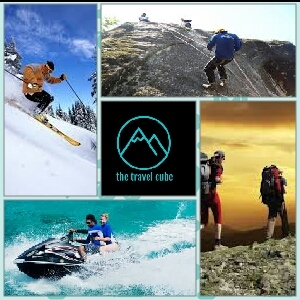 Package cost: INR 70500 per person on twin sharing basis. Commence your fascinating holiday by arriving in the capital of France, Paris and discover the most romantic city in the world. On arrival at Paris international airport, meet your driver who will take you to your vehicle for your private transfer to your hotel in Paris. After your check-in, relax in a 3-star hotel, Ibis Paris Alesia Montparnasse. Enjoy your breakfast at the hotel and then start your tour with the open top bus in Paris. Join the best tour of city, ‘Paris Hop-on Hop-off’ tour. One day pass of this Hop-on Hop-off tour allows you an unlimited use of the open top bus ride. You can Hop-on & Hop-off the tour bus as many times as you like. There are four interconnected tour routes and you can easily hop between them to discover the best of Paris, France. After completing your tour in the evening, return to the hotel for overnight stay. 09:30am: You can board our hop-on hop-off bus from Montparnasse- 51 Boulevard du Montparnasse, 75006 Paris, France and enjoy the open top bus tour until 08:35pm. Distance from Paris to Marseille is 787.60 Kms – Travel Time is 4 hours approx. After your breakfast, kindly make your own way to the train station (30 minutes car distance from hotel to train station) to travel from Paris to Marseille in Euro Rail. Enjoy your breakfast at the hotel and then start your full day tour. Get ready to have guided tour of Aix-en-Provence, Cassis and Marseille. See the beautiful destinations and famous Cassis Calanques along with a boat tour (own expense). Experience this full-day tour to Cassis, Aix-en-Provence and Marseille city from Marseille. Drive to Aix-en-Provence Provencal Market and tasting of calissons of Aix-en-Provence. Travel time is 3 hours approx. This tour will start after your pick-up from hotel. You will embark on a full day trip to Eze and Monaco with a small group in a minivan. Start with a scenic drive along the Mediterranean coast you will stop to see the panoramic views over Monaco before visiting the medieval village of Eze and take a guided tour of a traditional perfumery. Explore Monaco where your visit to the Old Town of Monte Carlo includes free time to see the Prince Palace (open April to October), the changing of the guard, the cathedral and the Cousteau Oceanographic Museum (additional cost). Continue your tour of Monte Carlo with a lap on the famous roads used for the Formula One Grand Prix. Enjoy some free time at Casino Square to do some shopping, see the stunning gardens and mega-yachts in the harbor. Spend rest of your time at leisure indulging in some shopping or tasting the authentic cuisines. On this day, check-out from your hotel as per the check-out timings and plan your day according to the time of your flight. You can even explore Nice and discover the beautiful French Riviera. Make your own way to the airport in Monaco, for your return flight.